Outside the gate to Southpoint Park, facing the United Nations is the magical sculpture, the Blue Dragon. Once you’ve seen it you’ll always remember it. 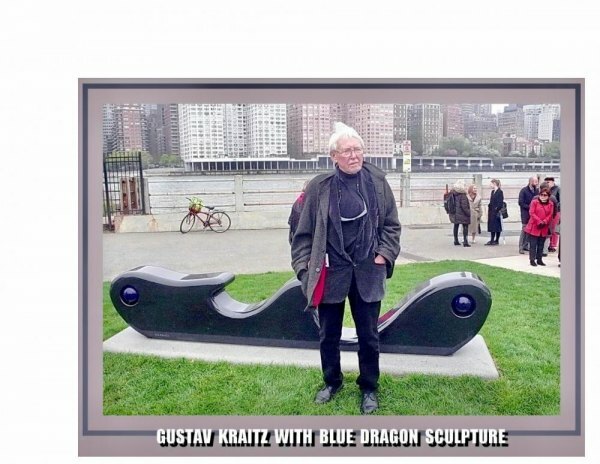 The sculpture was a significant gift from Gustav and Ulla Kraitz, internationally known Swedish artists who fell in love with Roosevelt Island after Gustav visited a friend and Island resident who is a RIVAA (Roosevelt Island Visual Art Association) member. The Blue Dragon is an attraction for visitors from around the world who come to the Island to visit the Four Freedoms Park and the site of the soon to be open Cornell Tech campus then encounter the Island’s vibrant, diverse and creative community. Its presence is a result of the vision and efforts of RIVAA and RIVAA member Elisabeth Stapen working with RIRA and RIOC to make the dream of permanently installing this invaluable gift of art on the Island a reality. There are many ways to be part of the creative arts community. Gallery RIVAA, located at 527 Main Street is always free. It welcomes visiting artists, families, residents and tourists to its exhibitions which are scheduled throughout the year and change approximately every six weeks. RIVAA is a participant in many island events such as Fall for the Arts, the Cherry Blossom Festival and Roosevelt Island Day. It is also a venue for its programs like the monthly Sunday afternoon Jazz Salon, dance, workshops and book readings. Your tax deductible donation to RIVAA, a Not for Profit organization, is indispensable to the creative energy of Roosevelt Island and is essential to keeping us an active part of it. Thank you for your support of RIVAA, a Not for Profit 501 (c) 3 organization. Your donation is tax deductible. 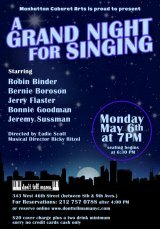 Please make checks out to RIVAA and send them to 527 Main Street, New York, NY10044. Printable contribution form for your convenience, click below.